South African Oscar Pistorius has won the silver medal in the final of the men’s 400 metres at the African Championships in Porto Nova, Benin. This the first medal ever won by a disabled athlete in international able-bodied competition. Isaac Makwala won the gold in 45.25, making it a double for the country, with world champion Amantle Montsho taking the women’s title in 49.54. Although Pistorius tweeted that he was delighted with the medal, his time of 45.52 was .22 outside posting the second 45.30 needed to make the South African team for the individual event in London. The Blade Runner, as he is known, posted his first A qualifier in Pretoria earlier in the year, but has not been able to repeat the performance before the July 2 deadline. However, his London Olympic dream may still survive in the 4 x 400 metre relay. 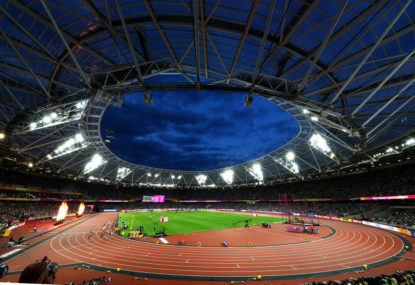 This is the event, though, that has caused the most controversy about him competing against able-bodied athletes. The IAAF may choose to restrict him to running in the first leg only, as some athletes have raised concerns that his instability on his blades may trip up other runners in the push and shove of the baton change. Should that be the case, then his name may rival Usain Bolt as a drawcard in London, as the debate around giving him permission to compete continues. South Africa will probably announce their team early this week after the conclusion of the championships tonight in Benin. Pistorius will have an anxious wait to find whether his Olympic campaign is restricted to the Paralympics. 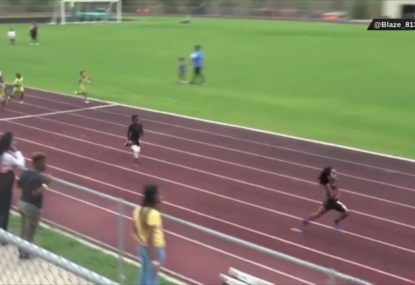 7-year-old lights up the track with unbelievable speed! Rudolph ‘Blaze’ Ingram has gone viral again after producing two great runs on the athletics track. Blaze stopped the clock at 8.69 seconds for the 60-metre dash, while over the traditional 100-metres he set a very impressive 13.48 seconds. On 26 April, 2018, the International Association of Athletic Federation (IAAF) made a significant ruling. Runners live their lives by the stopwatch. Perhaps, in its own way, an accelerated metaphor for the heart-drumming business of life. British athlete Roger Bannister, the first man to run a mile in under four minutes, has died aged 88. 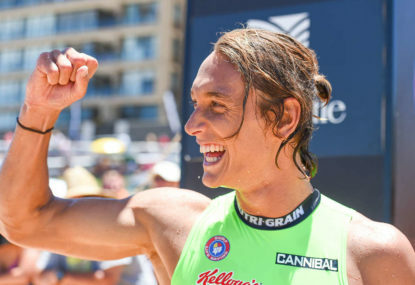 The final round of the Ocean 6 Series will be held at North Cronulla this weekend, with both the Ironman and Ironwoman titles are still up for grabs.